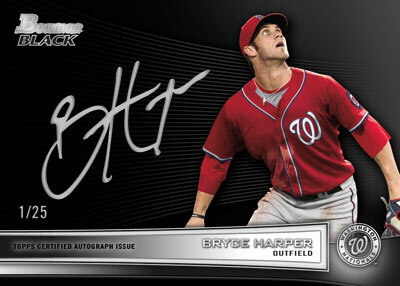 Just a couple of days ahead of the official release of 2011 Bowman Draft, Topps has released a tease for 2012 Bowman Baseball via their Twitter feed. 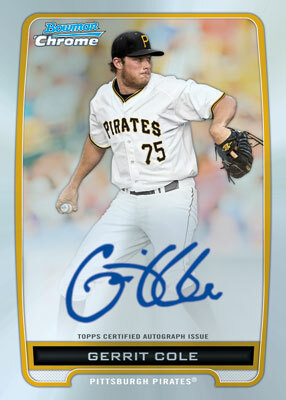 A Bowman Chrome autograph of Gerrit Cole, the first pick in the 2011 MLB Draft, and a Bowman Black Bryce Harper were among the revealed shots. Cole was one of the few first round picks left out of 2011 Bowman Draft autograph. 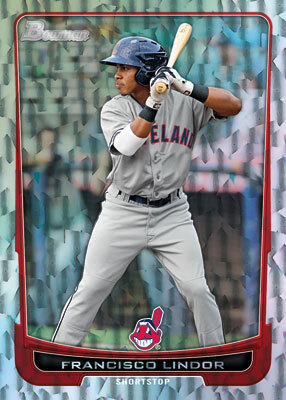 Stay tuned for further 2012 Bowman Baseball information as it becomes available. I think im going to really like bowman this year, cards look great!